When you’re shopping for a new vehicle or a used vehicle in the Nickerson area, you have a few options when it comes to the financial side of the car-buying process. Most people opt to buy or lease their vehicle, but does that mean exactly? We’re taking a look at lease vs. buying, so you have a better idea of the benefits of each financial choice. No restrictions: When you lease a vehicle, there are certain rules you have to follow. When you buy, you’re free to do what you want with your car. That means you can drive as many miles as you’d like around Newton. Customization: When you buy a new or used vehicle, you are the owner, which means you can customize your car as you see fit. You can change the color, update the exhaust system, change the audio system, or whatever else you’d like. Costs over time: Though buying a car is more costly up front, it can cost less over time when you buy a car, especially if it’s new. You’re the only owner, so if you keep up with routine maintenance, you shouldn’t need to pay for expensive repairs. And once you pay off your loan, you will only need to pay for car insurance each month, putting money back in your pocket. Selling: You’re able to sell your vehicle back to the dealership as a trade in when you want to buy something new. Once you’ve paid off your loan, you’re free to sell your vehicle as a trade-in or privately. Lower Cost: When you choose to lease a new vehicle, you don’t have to put as much money down, and your monthly payments are often lower than when you buy. Easy Trade In: When the lease is up on your vehicle, you simply have to return it to your local Hutchinson dealership, pay any outstanding fees, and choose your next vehicle to lease. Coverage: Because you only have your leased vehicle for a short amount of time, most services or issues that arise will be covered by your warranty, as long as you don’t go over your mileage limit. Options: As we mentioned, lease terms are often around 24 to 36 months. That means you can enjoy the latest features and technology more often when you lease the newest vehicles. 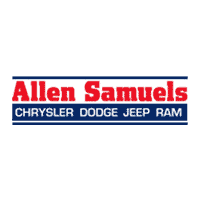 Whether you choose to buy or lease, you can rely on the Allen Samuels Chrysler Dodge Jeep Ram finance team to help you navigate the process. If you’re looking to save while enjoying the benefits of full ownership, you may be interested in learning more about certified pre-owned vs. used models. Contact us with any questions, apply for financing online, or stop by in Hutchinson to learn more in person. Interested in a new Jeep SUV? Compare the Cherokee vs. Grand Cherokee to see which one better suits you!